“Hunting the planet’s largest terrestrial animal has been by far one of the most exhilarating experiences you will ever have in your life(GSS). The pure size of the animal, the terrain, the stalk, the danger, the adrenaline all contribute to the magnificent elephant hunting lifetime memory which is a once in a lifetime experience. Not to mention the spectacular sunsets, bright blue skies and scenic landscapes. Elephant hunting with Graham Sales Safaris, will ensure that you are going to share many stories and conversations at night around the campfire not only about the sheer size of the animals, the final approach, aiming and ultimately the shot which takes the gigantic tusker down but also the unequivocal level of respect one has to have for these magnificent animals. Hunting elephant in the South African bush, mostly in the Mpumalanga province (which is home to the largest concentration of the Big Five – elephant, lion, buffalo, leopard and rhinoceros) and Limpopo from March until November, starts early morning at day break and one returns to camp after sunset. In the Timbavati and Klaserie Private Nature Reserves, Elephant hunting is done mostly on sight (one will spot Elephant form the hunting vehicle and we will plan a stalk to get close to be able to determine tusk size). Their counterparts which live in the equatorial forests are more difficult to follow. Trackers follow bull herds or single bulls on the elephant hunt (if they move out of sight as one might only see the backs of the animals from a distance) and once a good track has been found the real work starts and continues until the trophy elephant is encountered. While tracking the trophy elephant there are a number of factors which will indicate to the trophy quality. The most obvious is the size of the track. Age, and therefore possible elephant trophy size, could also be determined by the particles found in the dung. Over an elephant’s lifespan, it receives six sets of molars and once these wear out the more noticeable is the digested leaves, branches, bark and roots in the dung, which in turn indicates to typically an older animal. 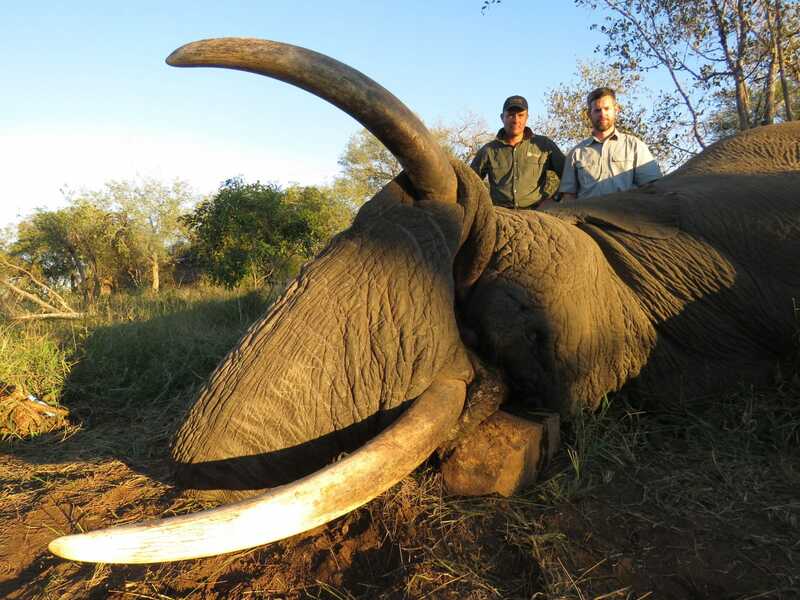 Impressive weight and beauty of the tusks are what we are looking for when hunting trophy elephant. The nerve which runs inside of the tusks makes estimating the weight of the tusks challenging. Generally, females are smaller than males which is also reflected in the tusk size. Their main purpose of their tusks is to dig for food and water as well as chiseling bark off trees and could weigh up to 200 pounds (biggest ever recorded) each. Some animals do not have tusks at all. 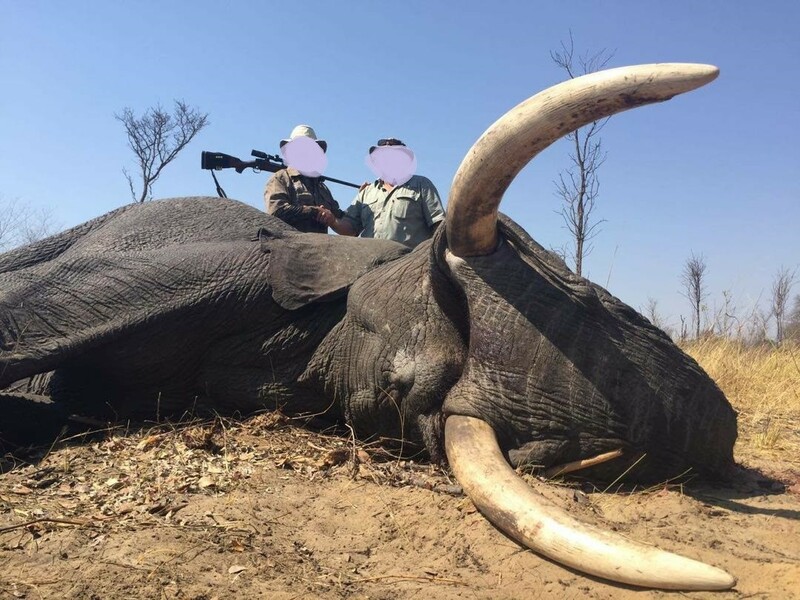 We do offer tusk less elephant cow hunts in Zimbabwe to take these animals out of the gene pool – these hunts are extremely exciting as one has to find a specific animal among sometimes hundreds of other elephant. Countries have different regulations with regard to the importation of elephant products. CITES also governs the import and export of elephant trophies. Please contact Graham Sales for further information regarding these ever changing rules and regulations. Contrary to the opinion of some, the elephant is not endangered at this stage in South Africa and in particular the Timbavati and the Klaserie one can export to the United States of America. The habitat where they roam is mostly grassy plains, dense savannas with high rainfall and woodlands. To penetrate a bull herd or get into close quarters with a bull to determine trophy quality can be extremely exciting and can get the adrenaline pumping. Bulls in breading herds are never hunted. Be exceptionally cautious when stalking these magnificent animals because elephants have unusually sensitive smell and hearing, so wind direction is essential when tracking. 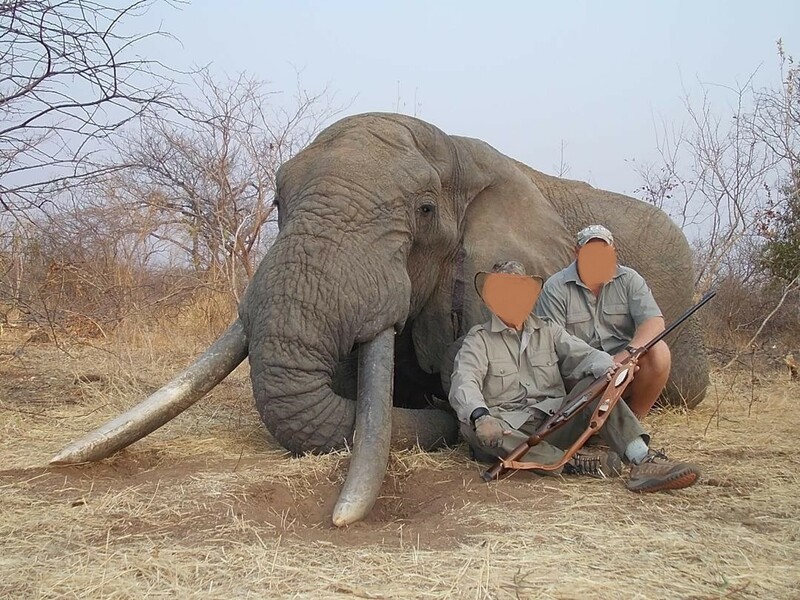 Elephant hunting is an aggressive hunting experience. These are enormously majestic animals and a show of dominance is often given through the flapping of their ears, a deafening trumpeting which can be heard up to eight kilometres away, the breaking of bush and pushing over of trees. 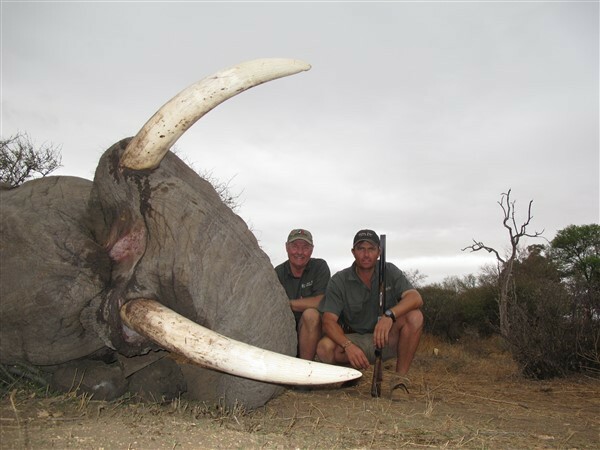 In hunting elephant choose the largest caliber rifle. The .375 is the legal minimum caliber, however, there will be no room for error when it comes to shot placement, if this caliber is your choice. Other options would be a forty or even a fifty caliber rifle with four-hundred to five-hundred grain solid bullets. Knowing the exact position of the brain and other vital organs from different approaches are essential in guaranteeing the perfect shot. Graham Sales will explain and discuss the different angles. Most elephants are taken at between twenty and thirty yards. Full frontal brain shots are very common and the angle varies greatly depending on the range, on the side – brain look for the crease at the ear. Graham Sales Safaris primarily hunts in The Associated Private Nature Reserves which consists of Timbavati and Klaserie, and covers 420 000 acres of land without any fences. These nature reserves are a conglomerate of privately owned nature reserves. The process of dismantling the fences between these private nature reserves and the Kruger National Park started in the early 1990s and therefore ensures an abundance of a variety of game, including Africa’s big five. The Kruger National Park is one of the largest game reserves in Africa. The Klaserie Private Nature Reserve is one of the largest privately owned nature reserves in South Africa and covers some 120 000 acres. The Timbavati Private Game Reserve is a prime hunting area with mainly savanna type of vegetation which includes grass and trees. The altitudes ranges between one thousand to one thousand five hundred feet above sea level. The months November to March are the wet season. Safaris are scheduled between April through till end of October. 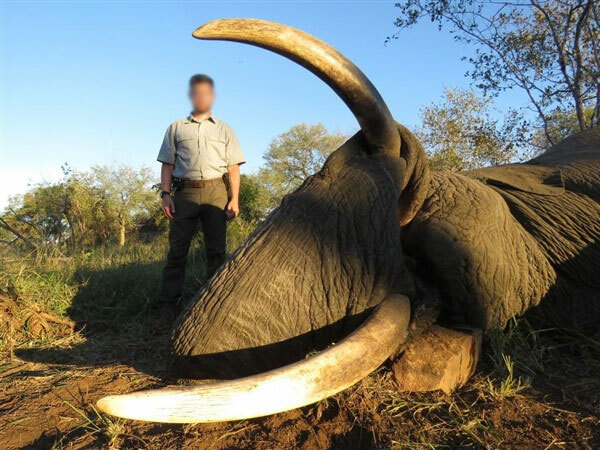 Trophy elephant hunting provide revenue and incentives for people to conserve and restore wild populations, maintain areas of land for conservation and most importantly protect wildlife from illegal practices. Poaching poses to be a problem these days due to the high population of game in our areas. 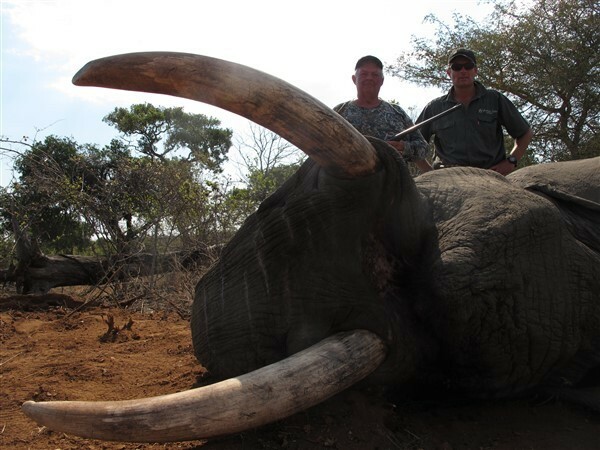 Graham Sales has nearly twenty years’ experience in dangerous game hunting as well as plains game hunting. His experience and natural desire to ensure an ultimate trophy elephant hunting experience will without a doubt have all clients in awe and completely satisfied with not only the tusker taken as well as the overall hunting experience.